Please introduce yourself, Amy, and share some of your background with us, i.e., birthplace, schools, marriage, and your children. Hi, John, and thanks for having me on your blog! My name is Amy Bennett, born Amy Romero in El Paso, Texas in 1967. My father was a retired Air Force master sergeant and retired from civil service. My mother was a stay-at-home mom, and my sister and I were both late-in-life babies for them (Dad was 48 and Mom was 40 when I came along!). I lived in El Paso, attending public grade school Lee/Magoffin (depending on what year it was) until my parents transferred us to Blessed Sacrament School when I was in sixth grade. For high school, I attended and graduated from Father Yermo High School, an all-girl school, which became co-ed a few years ago. I still support my alma mater as much as I can with career day presentations and speaking at events such as the National Honor Society installation ceremony. My former principal, Sr. Maria de Jesus Mungia, is an active lady (I won’t even attempt to guess at her age; she seems ageless!) who enjoys my books along with those of James Patterson’s Alex Cross novels. I was fortunate that both of my Catholic schools blessed me with wonderful English teachers who taught me well and encouraged me as a creative writer. In 1988, I married Paul Bennett, and moved to Alamogordo, New Mexico, where he and his family lived for years. Except for a brief, six-month stint in Mt. Kisco, New York, we have lived in the Alamogordo area all our married lives. Our son, Paul Michael, was born in 1994. We have lived in Bent, a small town halfway between Alamogordo and Ruidoso, since 2001. When did you decide to begin your writing career? I try to write every day, but it’s not always easy. I work full-time as a cake decorator at the Walmart Supercenter in Ruidoso Downs, New Mexico. I’ve been with the company for 16 years. Three years ago, I also took on a part-time job at a winery in mid-town Ruidoso called, Noisy Water Winery. I became acquainted with their wines (and fell in love with them) around the time I began to play around with the idea of writing a mystery novel. Another New Mexico author, Mike Orenduff, had a character in his mystery series who liked New Mexico wines and I thought it was a great way to add local “flavor” to my stories. So far, I’m still the kid who wanted to keep writing, so for now, I’m sticking to novels. I know you have a new book out. Please tell my readers about it. 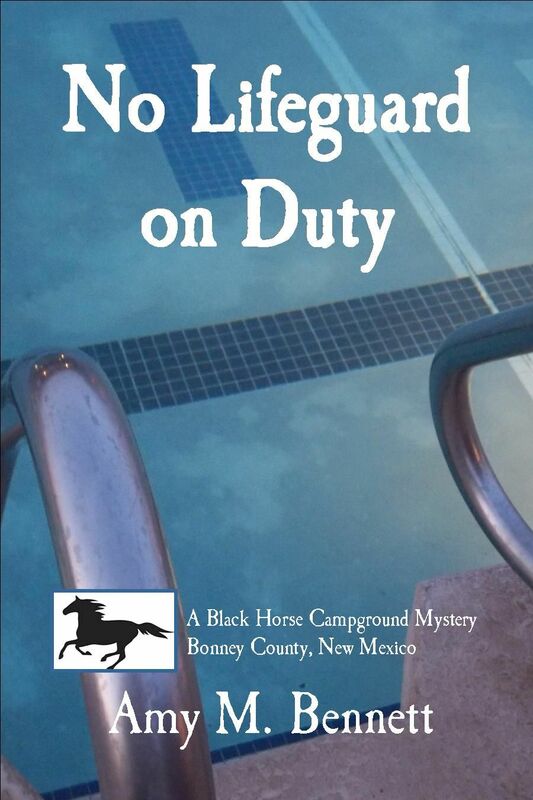 My latest release is the second book in my Black Horse Campground mystery series, No Lifeguard on Duty. In it, the characters from the first book, End of the Road, return with another mystery to solve. Campground owner, Corrie Black, always ushers in the start of the summer camping season with a pool party for her employees and friends, but the morning after the party, the body of Krista Otero is found in the pool and it wasn’t an accidental drowning. Despite opposition from former flame and Bonney County sheriff, Rick Sutton, Corrie sets out to find who murdered the young woman and why the Black Horse Campground is being used as a base for illegal activities. Could it be one of two young men vying for Krista’s affection? Do they have something to do with the drug activity discovered in the campground’s maintenance room? Or are they—and Krista—caught in the middle of something bigger and far more deadly? Could the drugs and Krista’s murder be linked to one of Corrie’s most reliable employees… or one of her long-lost and least trustworthy friends? Of course, to add more interest, former Houston PD lieutenant, J.D. Wilder, is back to assist with the case and add to the mystery of how the love triangle among Corrie, Rick, and J.D. will be resolved. What in life makes Amy happy? Does it sound sappy or corny to say that life makes me happy? It really doesn’t take much to make me happy. I’ve learned to appreciate the simple things and the people I share them with. I’ve had a lot of loss and sadness in life, but Paul and I have learned that you hold on to the good times and memories and when you count that up, you find you’re a lot richer and happier than you think you are. I’m also a strong believer in learning… any day that you learn something new, no matter how small or big, is a great day. I love to learn. Curiosity and love of learning helps me enjoy life more, be happier, and write better! I love the area in which I live right now. Most people think “New Mexico” and associate it with desert. The south central region where I live has high desert and pine forests. Not too much heat in summer and not too much cold in winter. Bent is a small town; I have to drive 30 minutes one way to get to work in Ruidoso, but I’m driving through the beautiful forest of the Mescalero Apache Reservation and the worst gridlock is in the fall when the elk are crossing the highway in the early morning hours. I grew up in El Paso and if I had to pick a city in which to live, that would be it (no joke!) If I really had to pick another place, Estes Park, Colorado has always been a favorite getaway for Paul and me! It’s a toss up: finishing a book and getting that “I did it” feeling (it never gets old) or opening the box from the publisher and holding the printed book in my hands, not to mention that moment when I signed my publishing contract. But I think it always will be having people—especially complete strangers—say, “I really enjoyed your book and I love your characters! When is the next book coming out?” Yep, THAT has to be the most rewarding. An informal group of us tries to meet once a month. There are only three of us, but we all live in different towns and work different hours, so meeting is problematic. We initially got together during National Novel Writing Month a few years ago, and our goal was to become published. Now, we have achieved that goal. Since we all write in different genres, we don’t critique so much as we support each other. We all have families and friends who, despite their love and support of us, get that glazed eye look when we start using words like protagonist and point-of-view. Besides book #3 in the Black Horse Campground mystery series, tentatively titled No Vacancy, I’m also working on a Catholic young adult trilogy I’d like to submit to a Catholic publishing house. I also have a few other ideas for books circling around… I’m just waiting for them to land. Becoming a published author did not happen overnight and if success is defined by money and fame, then I’m far from successful. However, simply being able to do what I love, with the ones I love most around me and encouraging me, means far more than being #1 on the New York Times best-seller list. I lost a very dear friend to cancer a few months ago, Aimee Thurlo, award-winning and best-selling author of several Harlequin romances and mystery series published by Forge. She and her husband, David, were married for 43 years and spent their days together writing as a team. They didn’t have the financial or literary success of a lot of big-name authors, but they showed me what the dream is all about. Thank you, Amy, I’m certain my readers have enjoyed meeting you and learning about your books. You sound like a busy woman who has her priorities in order. Much success to you in your writing endeavors. 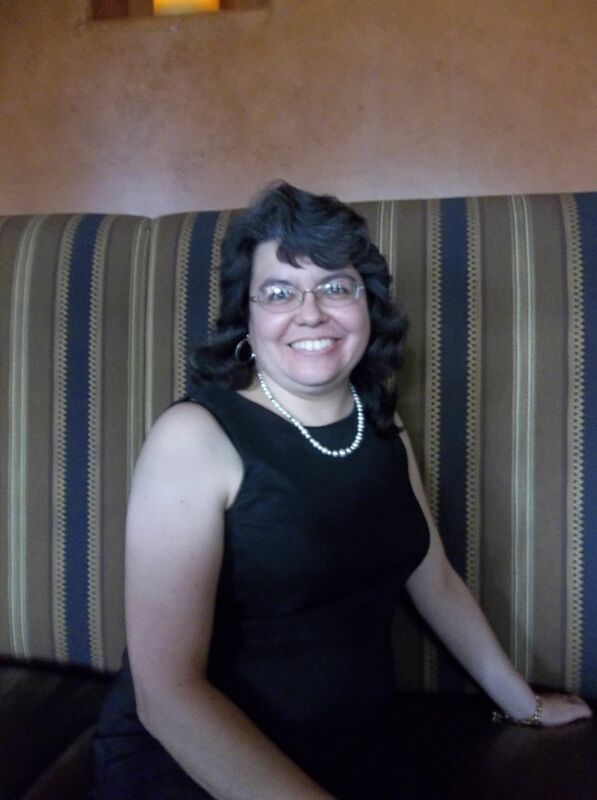 Award-winning author and freelance writer. Published ten books in addition to almost 200 articles, short stories, and poetry. Writing professionally since retiring from the FBI in 2004. What a great time reading this and learning more about you, Amy! She’s an interesting lady, Marilyn, that’s for sure. It was nice getting to know Amy via your blog, John. Amy, your Black Horse Campground books sound interesting and will be on my list to “must reads”. I am a fellow OTP author, as well. Thanks for visiting, Jackie. You’re a treasured guest.